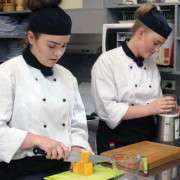 In the senior school students are beginning to look to life after seconday school - futher education or training; employment opportunities. Nominations are invited for the election of three (3) parent representatives to the Board of Trustees. Additional nomination forms can be obtained from the main school office. Nominations close at noon on Friday 24 May 2019 and may be accompanied by a signed candidate’s statement. The voting roll will be open for inspection at the school from Wednesday 8 May 2019 and can be viewed during normal school hours. There will also be a list of candidates’ names as they come to hand, for inspection at the school. Voting closes at noon on Friday 7 June 2019.